HAKAINDE Hichilema has described as barbaric and heinous the spate of violence against women and has pledged to end Gender Based Violence (GBV) should Zambians give him an opportunity to serve them as republican president after the August 11 general elections. 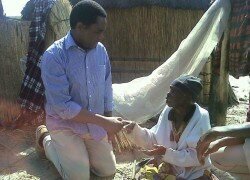 Mr Hichilema said the UPND once in government would firmly deal with perpetrators of gender-based violence which had seen some women being stripped naked in public by unruly youths who did not have the respect for other human beings. He said those who engaged in Gender Based Violence should be ready to face the wrath of the law should he be elected president, stating that Zambia as a Christian nation should be free from vices such as violence against women. He said it would be the UPND policy in government to ensure that women, bus and taxi drivers as well as the general citizenry would have the freedom of having access to public facilities such as markets and bus stations. Mr Hichilema said violence against women could easily lead to the breakdown of the rule of law and it was, therefore, important that such vices were eradicated. He said there had been unprecedented political and gender-based violence in the country and that the scourge should immediately be stopped. He explained that the UPND would ensure that youths were only hired to engage in productive ventures that would help the country to grow economically. “The heinous crimes being experienced, especially against women in Zambia, and against public property, reflect the total breakdown in law and order the PF Government have brought in. The unprecedented political thuggery and violence currently going on in our country must be stopped immediately. It has no place in our society and is self-destructive. We want our mothers, bus and taxi drivers, passengers, and citizens in general to freely use public utilities such as markets, bus stops and taxi ranks without fearing to be lynched by unruly thugs as is the case at the moment” Mr Hichilema said. He explained that the UPND was sending a strong message to perpetrators of GBV that they would be made to account for their actions after the August general elections. And Mr Hichilema has pledged that the UPND would increase the salaries of men and women in uniform claiming that the conditions of service for the police and other uniformed civil servants were not motivating. “When we come to power, we shall remunerate you well and restore your dignity to conduct your work professionally so that there can be order in our society again. Only this way will we attract both local and foreign investment that will generate jobs for our people. All that is part of our 10 Point Plan for Zambia under good governance. Give us your vote on 11 Aug and our plan will change the course of country and discard this ugly chapter to history,” Mr Hichilema said.